Last month, I blogged my interview with New York Times science writer, Dennis Overbye, about the state of science and science journalism. Almost immediately, I got a note from another major science journalism guru, Michael Lemonick, who had some strong reactions. I suggested he do an interview with me, and that’s what I have to offer you today—Lemonick’s take on everything from the Carl Sagan phenomenon to how the news lies about science. Michael Lemonick, senior science writer at Climate Central, former senior science writer at Time Magazine. You may know Lemonick for the long string of eye-popping cover articles he’s written for Time Magazine, Discover, Scientific American, and other publications. Or maybe you took one of the classes he’s taught on science journalism at Princeton, Columbia, Johns Hopkins or New York University. 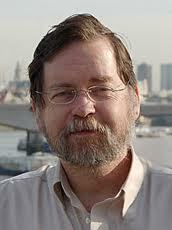 Mike has also authored four books, and holds a masters of science in journalism from Columbia University. He is presently the senior science writer at Climate Central. MK: Tell me something about what you’re working on these days! ML: OK. I’m working on a number of different things. I left Time in 2007 and I am now a full time staff writer for a non-profit journalism organization called Climate Central. We do stories and multimedia presentation about climate change—for our website and for other organizations. I’m also continuing to work as a freelance science writer for Time, Discover and Scientific American and other places. And finally, I’m working on a book on exoplanets. It’s my second book on exoplanets. I did one in 1997, but I figured there’s probably a bit that’s happened since then. MK: How do you know Dennis Overbye? You belong to the same club of science journalists, so to speak. ML: Yes. Dennis and I have been running into each other at conference for many years. We’ve never worked together. We’ve worked for the same magazines at different times. We are certainly familiar with each other’s work. ML: The situation for science journalists at traditional science organizations is not so good. At Time the reason I left was that the editor who took over was not interested in basic science and made that clear. They were trying to get rid of more senior writers and were offering buyouts. Right and left journalists are leaving. 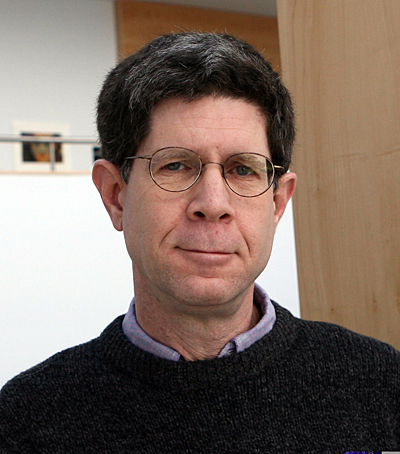 David Chandler who was covering physics and astronomy at the Boston Globe took a buyout. Andy Refkin took a buyout. My understanding is that everyone at the New York Times was forced to take a pay cut in order to stay. But the number of opportunities for journalists to write about science has greatly expanded. I almost never now write for the print magazine. I write almost exclusively for Time.com. But the problem is these jobs don’t pay as much. I get less than half as much per word writing for the website. But it’s still a great platform and it’s not my main living and I will get published. Whereas in a magazine you have to fight desperately for every inch, space is shrinking so badly. MK: How should scientists respond to these changes in science journalism? ML: It depends on what they want to achieve. I’m aware of your work, Marc, and it makes a lot of sense to me—that scientists need to be more active about making people aware about their work. And certainly that’s a good thing. Certainly there are scientists who have gone out and become bloggers and their public profile is relatively high compared to their positions at universities. I think of PZ Myers at Minnesota. Science journalists read blogs and have started quoting people who do them. MK: In other words, we can get higher profiles for ourselves by blogging. ML: Yes, if you do it effectively—by being provocative and getting a lot of people to link to your blogs. MK: How do you know when a story is ripe for a big magazine like Time? ML: It’s a difficult question to answer because it’s instinctive. I hear something and I saw “wow that’s a story,” or I say “naaa”. I don’t usually stop and analyze it. At the end of a story, the reader should come away saying, “Wow that’s really interesting! I didn’t know that.” I assume I have a sense of what an unsophisticated but science-oriented reader would react that way to. It should be surprising, important—or weird and fun, failing the important. When I teach journalism I have a top-ten list of things that make a story a story. If it’s a medical story it has to involve a disease that affects a lot of people and maybe leads to a cure. People are much more interested in tiny advances in medicine because it lets them imagine where it would lead. In physical science it’s more difficult. Something that overturns some long held belief. Something that seems bizarre or addresses some great mystery. Something that’s superlative—the biggest or the strongest or the loudest or the most distant—with the caveat that you can only do that so many times. I believe it was Dennis that used the example of black holes at the cores of galaxies. During the nineties it was “astronomers are 80% sure there’s a black hole at the center of Andromeda Galaxy.” Then the next year it was “85% sure”. Then it was “90% sure”. Then it was alright, already! We get it! Right now—it’s almost anything from Kepler. But dark matter—if you don’t know what it is, don’t tell us about it anymore. I have become somewhat disenchanted with traditional science journalism over the second half of my career. Because science and news–there are different values involved. By distorting science into what fits the news you’re actually doing people a disservice. It is actually important that this year we are 90% sure that there’s a black hole in the center of Andromeda. Basically one might argue that we are lying to people about science. ML: I’ll give you an example from medical research. There’s a study that comes out that they learned something about mice and Parkinson’s disease. It might have implications for humans, but the truth is that it probably won’t. But I can’t tell my editor the truth, which is that this research probably won’t have any implications for human health. Her response is going to be to tell me: that’s not interesting; I don’t want that. In order to make a story palatable to my editor I have to jazz it up and make it something it’s not. So when you’ve created that expectation that every story is a breakthrough. If you have a story that’s not a breakthrough, editors say they aren’t interested in that. The editor of Time back in the early 90’s said in a meeting that there’s a report out saying butter is good for you. [My editor said:] I used to think butter was bad for you. I want a story that lays out everything for you and gets to the bottom of this. So I wrote a story about food and I did just that. I said that it seems like a full time job to keep track of news on eating healthfully—to monitor what’s good for you and what’s not. But I said that, basically, if you just do what your mother told you when you were growing up and be moderate about what you eat, you’ll be fine. It’s not rocket science. And my editor said: that’s boring. I don’t want to publish that. But I was right! I was telling the truth and that was what was right. Another thing: if there’s an outbreak of ebola in Sudan, it makes the news. Last year, a million people died of malaria. This year, a million people died of malaria. The number of people who have died over all of history from ebola is maybe 15,000. Last year, a MILLION people died of malaria. But it’s not a story. The news media is a very bad way of conveying how science works and what’s important. So, yes, I know what makes a good conventional news story, and yes, I write those stories because I want to make a living. But I’m not convinced that I’m raising the level of understanding in reader. Dennis made a point that I always make that it’s not our job to educate. What does this mean exactly? An educator is supposed to try to convey a body of knowledge in sequence so students will remember it and understand it. That’s not true in journalism. First of all, we tell stories. Second of all, educators attempt to measure whether consumers have actually absorbed and retained the information. They give tests. Journalists not only never do that, they never even think about it. We measure whether people like our story, whether they buy our magazine, whether they comment on the story. If the editor says it’s a good story we assume it’s a good story. But if you actually go and talk to people about many of the topics I’ve written about—-astronomy, climate change. I’ve been writing about this stuff for a long time. If you go to a part where there are a mix of people—educated people—and you get onto one of these topics, they don’t have the first clue about any of these topics that we’ve been writing about FOR THEM for decades. This kind of disturbs me! If I’m not giving them information that they retain, then what am I doing? Is it really a matter of indifference to journalists that people don’t retain what people are telling them? I might get myself in trouble with all of this. MK: Is there some better way to measure the impact of the stories you write? Should journalists give tests? ML: There are ways to do it. It’s just kind of labor intensive. Also, people talk about how wonderful it was when Carl Sagan was out there. They say, people were talking about science, back then! And so on. I think that’s a crock. I guarantee you: the people who were alive at the time, if you ask them about Carl Sagan, they will remember only four things. He had a show named Cosmos. He went on the Tonight show a lot. He had a geeky voice. And he went around saying “billions and billions”. If those are the only things people learned from Carl Sagan, that’s really frightening. We have these myths about science communication. Did you ever read Brief History of Time? MK: That’s the book that everybody owns but nobody’s read! ML: That’s exactly my point. It sold five million copies but people just leave it on their coffee tables. I don’t want to knock people’s writing about science, but if I think I’m raising the level of science literacy in America by doing it, I think I’m kidding myself badly. MK: So what should we do about it? ML: One thing that we can do about it is to try to push away from the hard news model of science. Features like what the New York Times has—showing a scientist at work—I think that’s a good thing. Here’s somebody sitting at a telescope. Here’s how that person is feeling. Those are admirable stories. Another thing we can do is talk about results that aren’t astonishing. I got away with a story [like that] at Time—I said we should do a story about the dark ages of the universe. Then I went and started looking into it, and realized that really nothing much is happening in that field; I had sold the story before I knew what I was doing. So I started casting around for an angle. It turned out Richard Ellis was on his way to Keck to do observations of incredibly distant Galaxies. So I got on a flight and I came along on this observing run. And it turned out they couldn’t get the telescope to work. So they called the night assistant and the chief engineer. And the object was setting and everyone was getting worried. Finally, they figured out that the graduate student who was along had entered his username into the software incorrectly, and that was what was preventing the telescope from focusing. I wrote this down and it added a kind of human interest to the story. They held the story at first, but then at the last minute it ran. And it became part of a collection of best science and nature writing stories of 2007. He [Ellis] did this observing run and by the end of the night he thought he might have had something, but he wasn’t sure. So there was no result. A news story with no result goes against the whole ethic of journalism at the time! But I was able to sneak it in because of the drama of it. MK: In other words you can write about the human element of things. ML: Yes, and that helps. It helps break the readers of the assumption that they are going to read something that’s “newsworthy”. MK: But does it help break your editors of that assumption? ML: Well, maybe no, but it helps. And another thing I do is I often lead my stories with a lot of background to give people a lot of context before I get to the news. That’s not generally done. But I feel like it gives readers a more accurate sense of where things fit. MK: What would you like to see us scientists do to make your life as a journalist better? ML: Mostly we [journalists] hear about new results in science through press releases. But I would like to have scientists send me an email when they find something that thy think is intriguing. I do this with Ed Turner whom I see a lot. If scientists were to simply send out emails to journalists that they know saying, “hey, people are thinking about this topic a lot”, or “this is something exciting that’s going on in the field,” that would help a lot. I’m interested in seeing how science is actually done, not how it’s packaged. MK: What about younger scientists who don’t know any journalists yet? ML: I’m not sure. They can blog. They can create their own little news outlet. But not everybody’s inclined to do that. MK: Do you look at blogs for news? ML: I don’t regularly. But I feel like I should. MK: So really, a major source for you is your email contacts. What’s the best way to get on your email contact list? ML: My email is on Facebook. I don’t hide it! MK: What’s the best way to “manipulate” the press? ML: Basically, by knowing how the news works. By knowing how those superlatives work—I could send you my top ten list. Cause that’s how journalists work too—they have to pitch stories to their editors, and it works the same way. If it’s in the physical sciences it may be had to argue that the story is going to be of personal importance to people. But then we switch to the awe-and-wonder track. If you can make it clear that scientists are very excited about something—this is something we do all the time—readers will think “oh, this is exciting even though I don’t get it.” The phrase “scientists were astonished to learn” has appeared in so many stories that it’s a cliché. People figure that if even a scientist is astonished then I will be too. MK: What do you think is the future of science journalism? ML: Anybody who gives you an answer to that question other than that nobody has a clue is blowing smoke. Because nobody has a clue. But I believe there is a future for science journalism. I don’t know if people will be able to make a living at it. I do know that my recent students who have gone on to be science journalists seem to be thriving and having a terrific time. So I believe there’s a future.